The Stevenson Type Screen protects Tinytag loggers from radiant heat (direct sunlight) and precipitation when used in outdoor monitoring applications. 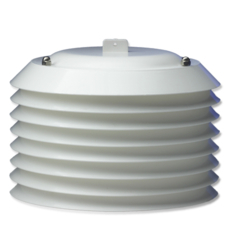 It can hold two Ultras or Talk style loggers and is supplied with different mounting options. The easy to assemble screen protects units whilst allowing air to circulate freely.